Early Help HubSouth Norfolk Community Awards. 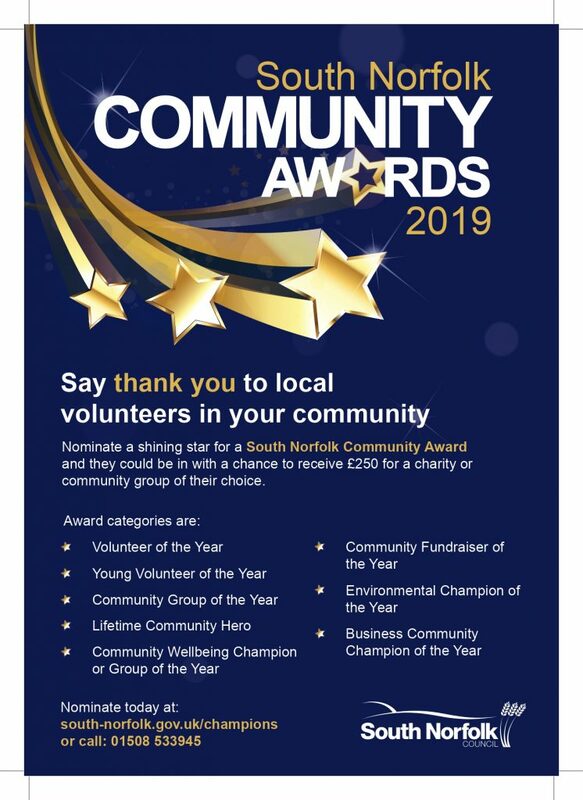 The closing date for the South Norfolk Community Awards is fast approaching – but there is still time to get your nominations in! These awards celebrate the valuable contribution volunteers make to their community, whether it be running a sports club, hosting events, fundraising, or helping around the community…or a whole host of things besides! If you are working with someone who you think would appreciate being recognised, then don’t delay – get that nomination in! Poster also attached with more info – please do share with any other contacts. Any questions please contact the Communities Team on 01508 533642.